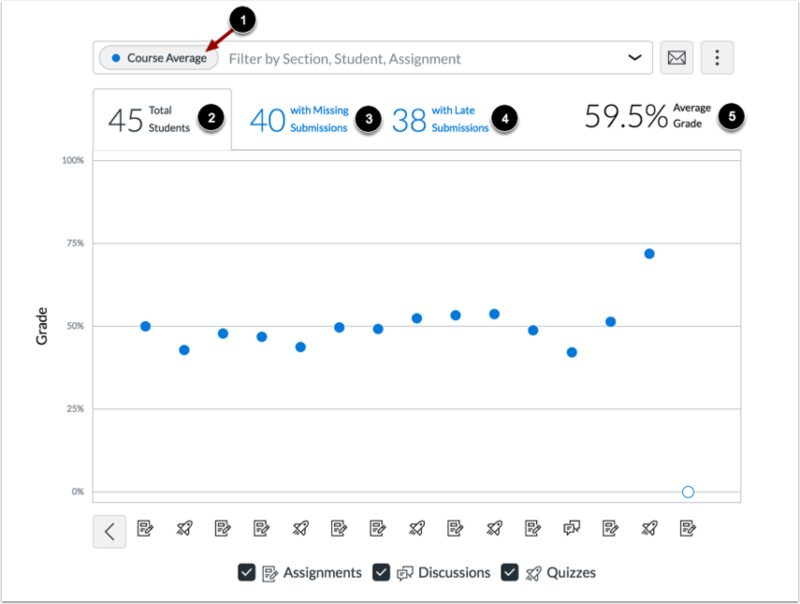 Analytics Beta allows you to track average course grades for student submissions using an interactive chart graph. Data is for viewing only and cannot directly be changed. 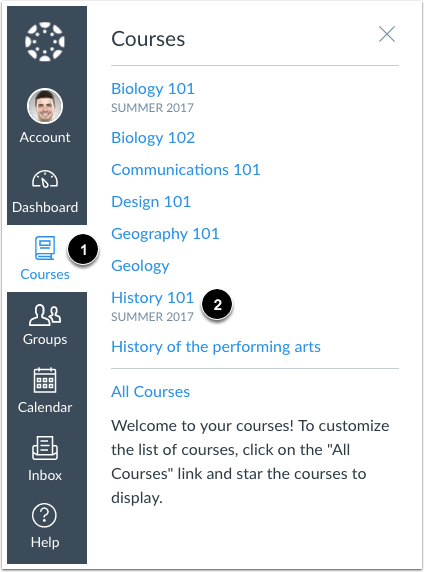 You can view analytics in both active and concluded courses. 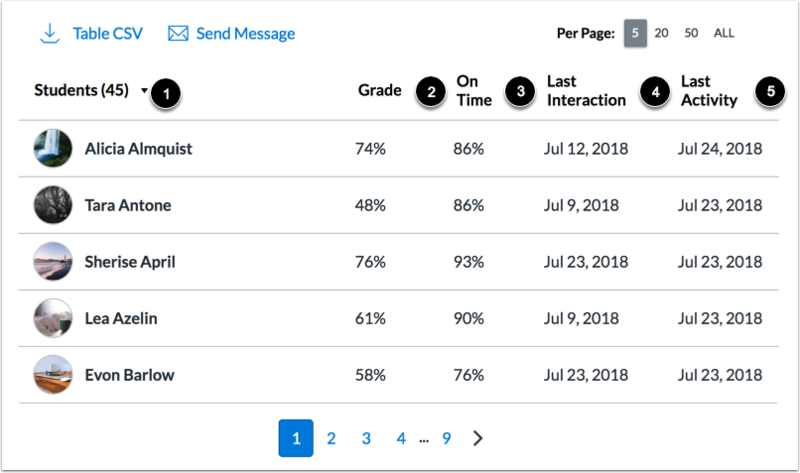 The average course grade is the average of all student totals from the Gradebook. 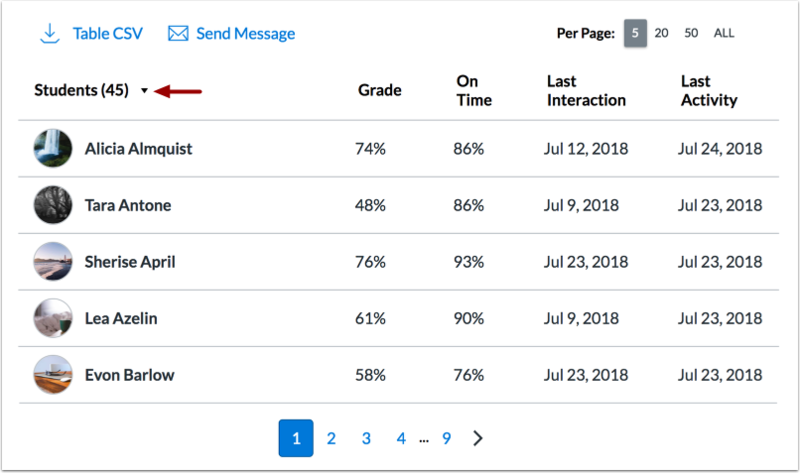 Course analytics will show you student activity, assignment submissions, grades, and student names. Page views and participation metrics include an aggregate across all devices, including Canvas mobile apps. By default, the analytics page displays an interactive chart graph of all data. However, you can switch and view data within a table at any time. 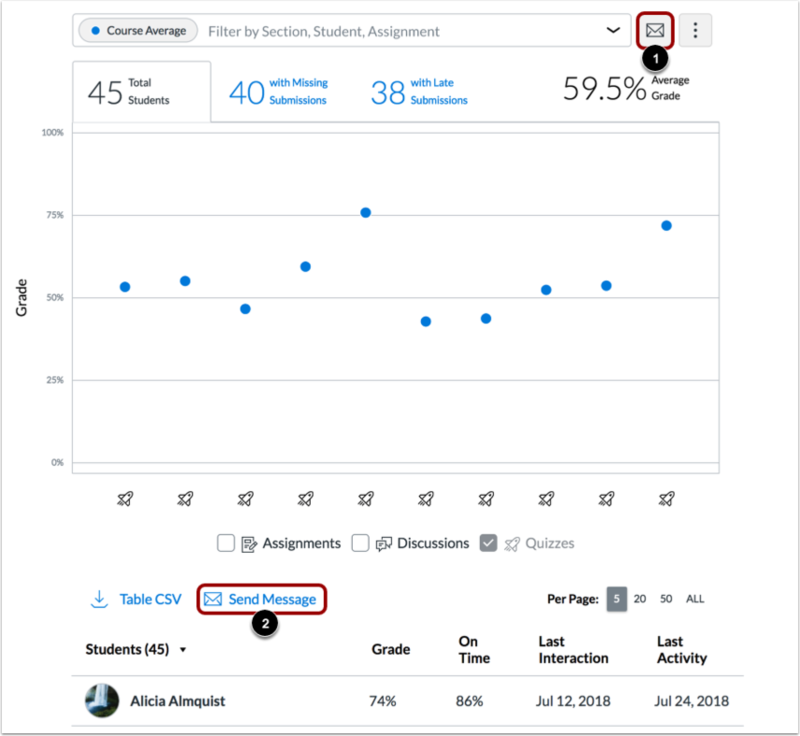 By default, analytics selects all assignment types to display within the page . 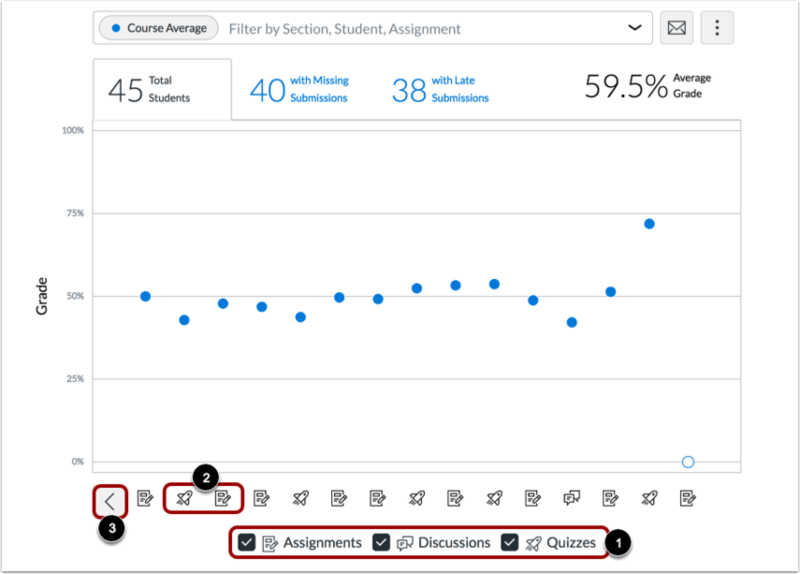 Each assignment in the chart displays the appropriate icon for each visible assignment type . 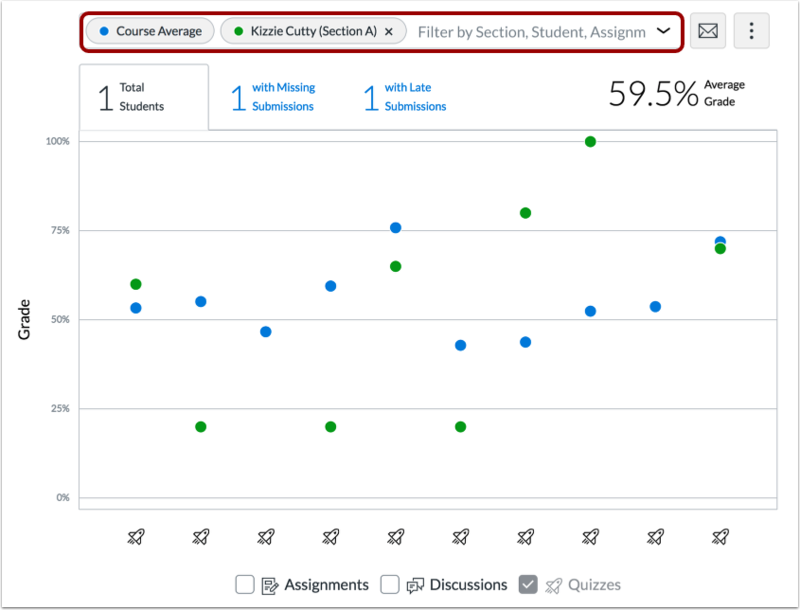 To view additional assignments, click the graph arrow . Note: The Quiz icon represents both classic quizzes and Quizzes.Next question types. 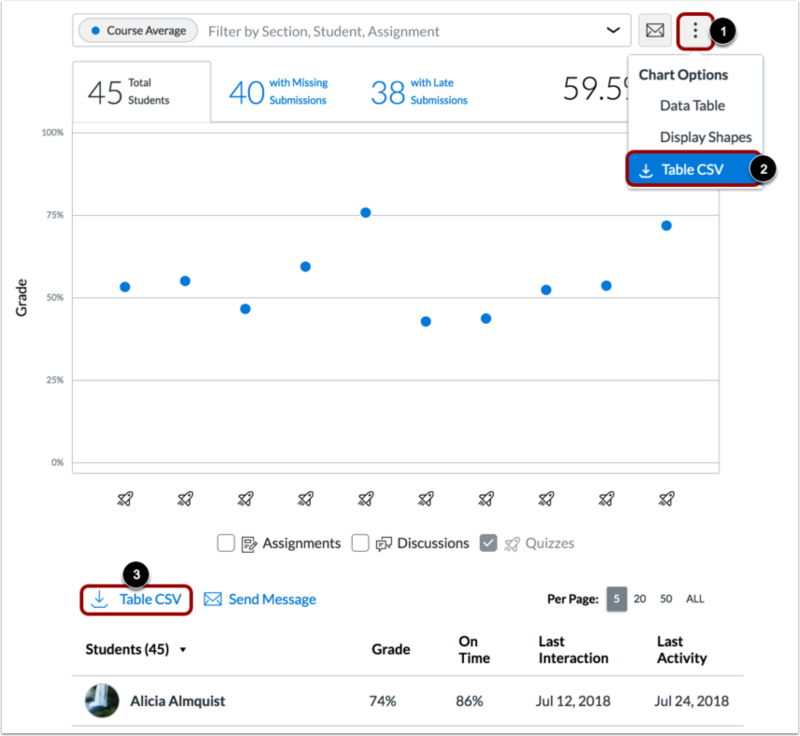 For analytical comparisons, you can compare graph data by filtering a section, student, or assignment. 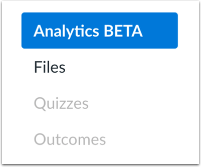 Previous Topic:What is Analytics Beta? Next Topic:How do I view average course grade analytics in a data table in Analytics Beta? 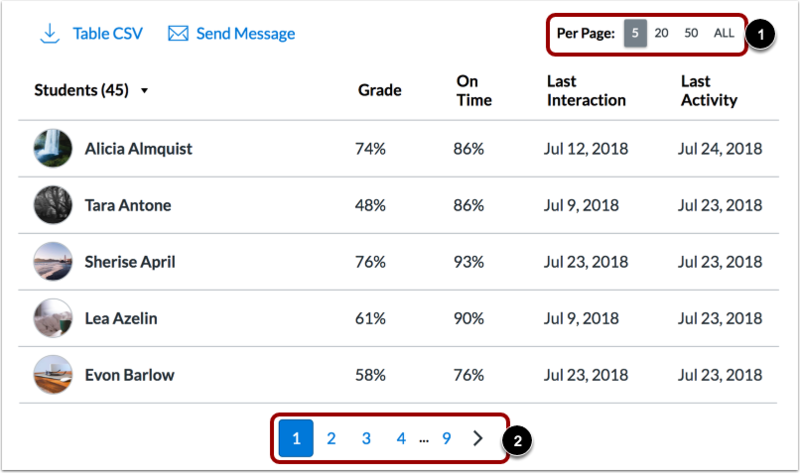 Table of Contents > Course Grade > How do I view average course grade analytics in an interactive chart graph in Analytics Beta?